Anatole Kaletsky writes for The Times Comment pages on Thursdays. One of the country’s leading commentators on economics, he was formerly Economics Editor and is now an Associate Editor of The Times. He also acts as a consultant, providing economic forecasts and policy analysis for financial institutions, multinational companies and international. In 1996 Mr. Kaletsky was named Newspaper Commentator of the Year in the BBC’s ‘What the Papers Say’ awards and he has twice received the British Press Award for Specialist Writer of the Year. Anatole Kaletsky started his journalistic career on The Economist, where he wrote about business and finance from 1976 to 1979. From 1990 to 1996 he was Economics Editor of The Times, responsible for all the paper’s economic news and analysis. 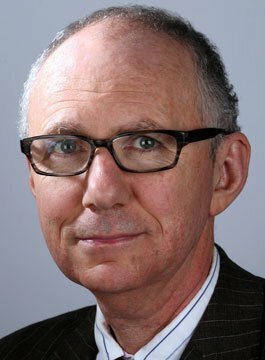 Prior to his appointment at The Times, Mr Kaletsky worked for 12 years on the Financial Times in a variety of posts, including New York Bureau Chief, Washington Correspondent, International Economics Correspondent and Moscow Correspondent. Anatole Kaletsky was educated at Cambridge University, where he graduated from King’s College with a First Class degree in Mathematics, and at Harvard University, where he was a Kennedy Scholar and gained a Master’s degree in Economics.